One of our bestsellers in Taichung! Attractively situated in the North District district of Taichung, 105 House is situated an 11-minute walk from Kuangsan SOGO Dept. Store, 1.3 miles from National Taiwan Museum of Fine Arts and 2 miles from Fengjia Night Market. The property is located a 5-minute walk from National Museum of Natural Science, 1.1 miles from Zhonghua Rd. Night Market and 1.2 miles from Zhongzheng Park. Free WiFi is included. 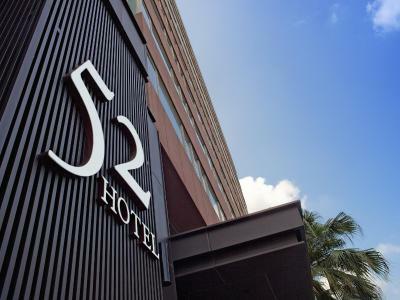 Situated in Taichung's west district, 52 Hotel offers free private parking and air-conditioned rooms with free Wi-Fi. Kssogo Department Store is a 5-minute walk away, while Calligraphy Greenway is a 10-minute walk away. One of our top picks in Taichung – and a guest favourite. 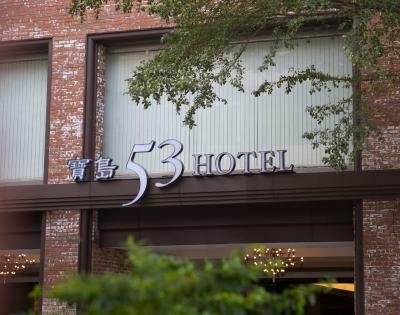 53 HOTEL is conveniently located in Taichung’s city centre, just opposite the Miyahara pastry shop and a 2-minute walk from Taichung Railway Station. 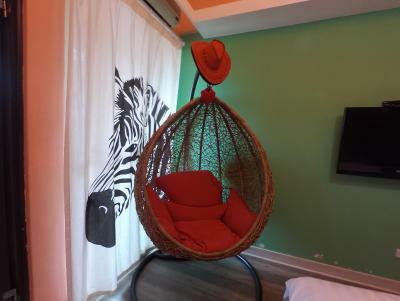 Selected room provides spacious rooms with a bathtub, a comfortable seating area and free Wi-Fi. 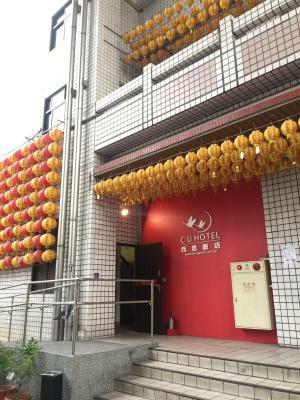 Set in Taichung in the Taichung Area region, with Taichung Confucius Temple and Zhongzheng Park nearby, 54 Hostel provides accommodation with free WiFi. Aeris International Hotel is located in the West District district in Taichung, 1,000 yards from National Taiwan Museum of Fine Arts and 1.6 miles from Kuangsan SOGO Dept. Store. Free WiFi is provided and free private parking is available on site. One of our top picks in Taichung – and a guest favourite. 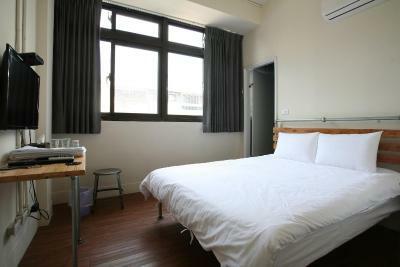 Airline Inn Green Park Way offers accommodation in Taichung, only a 2-minute walk from Kuangsan SOGO Dept. Store and Park Lane by Splendor. 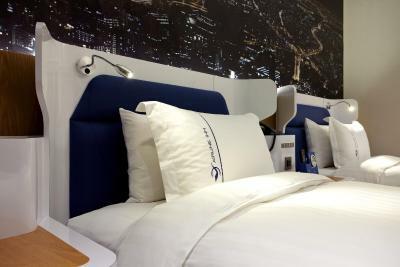 It features airplane-themed guestrooms with free WiFi access. There is a iBike rental station just 100 yards away. This property offers room service, family rooms and luggage storage. Alices Hotel is set in Taichung and features a shared lounge. The property is close to Taichung Confucius Temple, Fork Park and Nantian Temple. Kuangsan SOGO Dept. Store is 2.1 miles away and National Taiwan Museum of Fine Arts is 2.4 miles from the inn. This property offers free parking and family rooms. Set in Beitun, Taichung Area region, Anshun Hotel is located a 12-minute walk from Taichung Folklore Park. With free WiFi, this 3-star hotel offers a 24-hour front desk and luggage storage space. The property is situated a 17-minute walk from Cishan Temple. One of our bestsellers in Taichung! 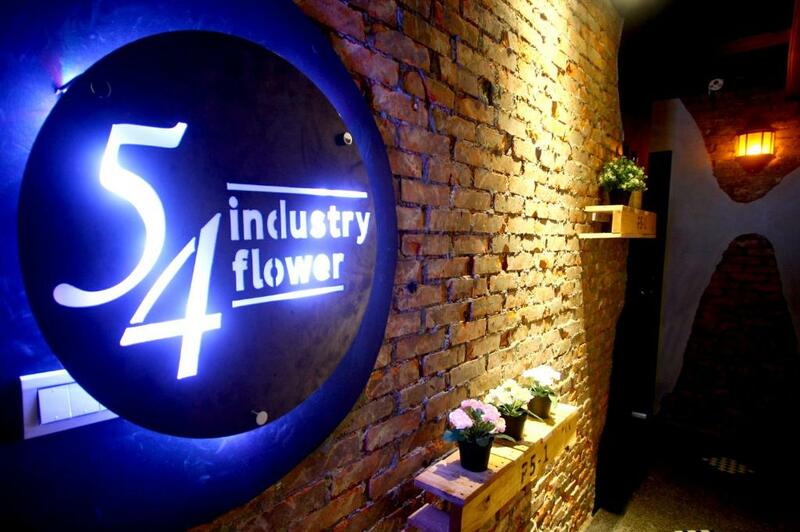 Backpacker 41 Hostel is a quaint setting located in Taichung. Free WiFi is covered in public area and free parking space is offered. 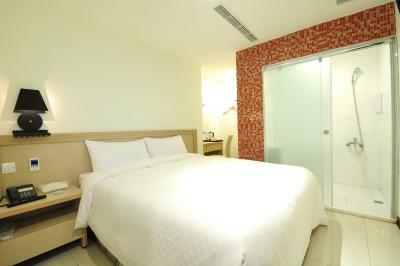 Beauty Trip Hotel is situated in the West District district in Taichung, 750 yards from Kuangsan SOGO Dept. Store. Guests can enjoy the on-site restaurant. Located in Taichung, 1.6 miles from Kuangsan SOGO Dept. Store and 1.7 miles from National Taiwan Museum of Fine Arts, Berlin Hostel offers free WiFi. Bravo Hotel is conveniently located in Taichung just a 2-minute walk from Taichung Railway Station and Taichung bus station. The hotel provides elegant accommodation with free Wi-Fi and free bottled water. This property offers non-smoking rooms, room service, luggage storage and free parking. 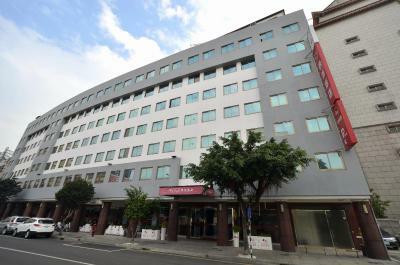 Located in the North District district of Taichung, Broadway Hotel features accommodation with a shared lounge and free WiFi. Featuring a sun terrace, this property is set a short distance from National Taiwan Museum of Fine Arts and Kuangsan SOGO Dept. Store. The property is 2.7 miles from Fengjia Night Market and a 7-minute walk from Zhonghua Rd. Night Market. 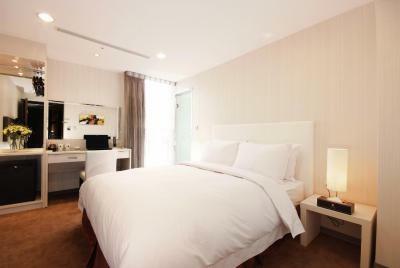 Situated 1 miles from Shin Kong Mitsukoshi Taichung Zhonggang, Buni features accommodation and free WiFi in Xitun. One of our top picks in Taichung. 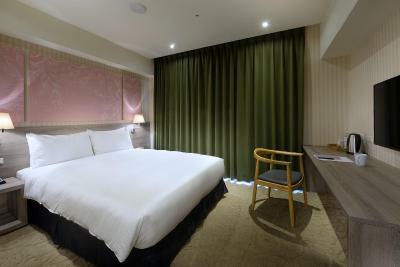 Just an 1-minute walk from Taichung Railway Station and Taichung bus terminal, Butler Hotel offers stylish air-conditioned rooms with free WiFi access. Located in Taichung city centre, C U Hotel Taichung is just a 10-minute drive from the National Museum of Natural Science and Yizhong Street shopping area. It operates a 24-hour front desk and provides free WiFi access throughout property. 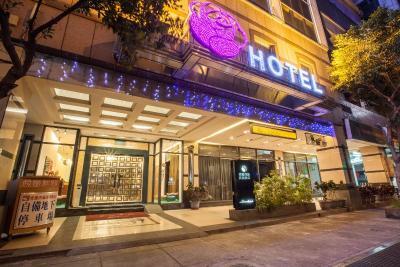 Located in North District, 15 minutes' drive from Taichung Railway Station, C U Hotel Taichung II is right next to Yuanbaogong Temple and offers guest rooms with free WiFi access. One of our top picks in Taichung. Located in Taichung, 2 minutes’ walk from Park Lane Taichung and CMP Block Museum of Arts, Calligraphy Green Way Hotel offers accommodation for travellers. Free WiFi is available in all rooms. One of our bestsellers in Taichung! Carol House Hostel features luggage storage, non-smoking accommodation and a tour desk. The air-conditioned accommodation units come with a clothes rack, a TV and a private bathroom with free toiletries and a shower. One of our bestsellers in Taichung! 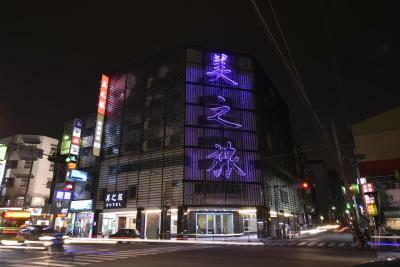 Only a 1-minute walk from Taichung Railway Station, Chance Hotel is located in Taichung. It features a 24-hour front desk. Free WiFi access is available in all rooms and public areas. Miyahara Dessert Store is within 3 minutes by foot.